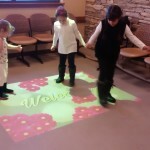 This entry was posted in Healthcare and tagged Healthcare, Interactive Entertainment, interactive floor, Interactive Games, MotionMagix Interactive Floor, topPicks on April 21, 2017 by Touchmagix. 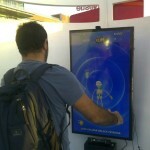 Doctors Experienced the Interactive adventure With MotionMagix Interactive Wall! Brief: Emcure is a fast growing Indian pharmaceutical company engaged in developing, manufacturing and marketing a broad range of pharmaceutical products globally. This doctors’ event was with the agenda of spreading awareness about their latest diabetes medicines. To make it an interactive and fun unlike regular doctor’s events, they thought of doing something new. 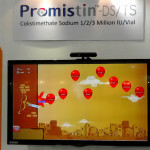 The MotionMagix™ Interactive Wall displayed their information to doctors in an engaging and interactive manner. 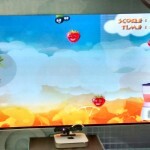 MotionMagix developed a game for interactive wall which conveys the message of eating habits. This entry was posted in Healthcare and tagged Diabetics, Healthcare, Interactive Entertainment, Interactive Exhibit, Interactive exhibitions, Interactive Games, MotionMagix Interactive Wall, Pharmaceuticals on January 19, 2016 by Touchmagix. 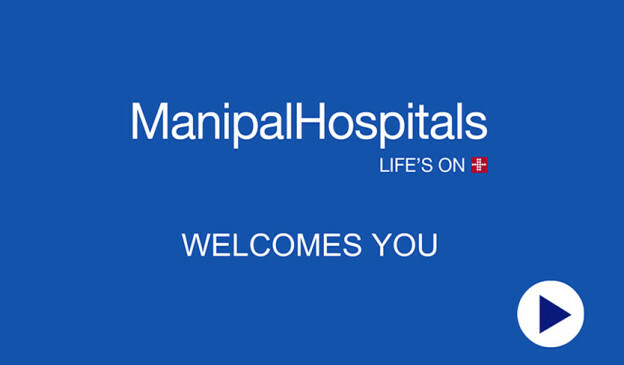 Manipal Hospitals one of the largest healthcare networks in India, has a huge administrative data base. 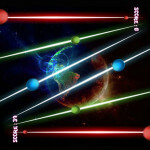 Such a large quantity of information must be available quickly to visitors in a well-organized and accessible manner. MagixKiosk™ the ideal choice displayed all the required information. Objective: Showcasing hospital information on multi touch kiosk. Brief: Manipal Hospitals is a part of the Manipal Education and Medical Group. Manipal Hospitals is the third largest healthcare network in India with a network of 15 hospitals and three primary clinics spread across 6 states. It offers the highest number of specialties, having the highest number of full time doctors and 24/7 services of Pharmacy, Laboratory, Pediatric and Neonatal emergency. Such a large quantity of information must be available quickly to visitors in a well-organized and accessible manner. MagixKiosk™ the ideal choice displayed all the required information appropriately, which led to better administration. Impact: Accessing information quickly, appropriately thus leading to saving time both for visitors and hospital administration. 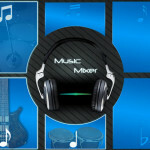 This entry was posted in Healthcare, MagixTouch on April 30, 2015 by Touchmagix. Taking branding to the next level, with augmented reality! 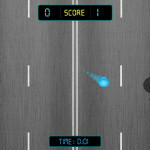 When games accelerate branding and entertainment of course. Objective: To augment branding of medicines and engage audiences in entertainment activities. Brief: Fusion Healthcare is an emerging Indian Pharmaceutical Research, Manufacturing and Marketing Company. 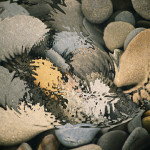 Fusion specializes in the most sophisticated and state-of-the-art quality products across various medical specialties. The company is a part of an 800cr healthcare enterprise having foot prints in Supply chain, Logistics and Healthcare facilities. 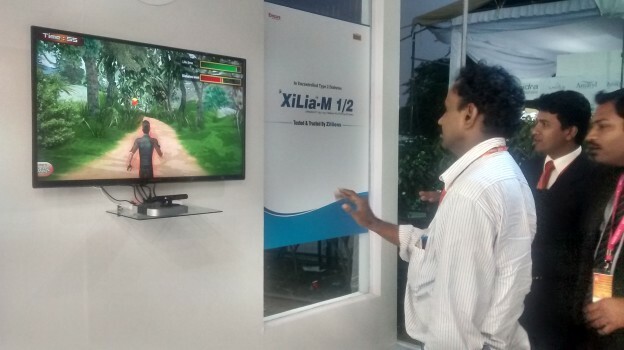 At a recent doctor’s meet, they used our interactive wall with MotionMagix™ gesture technology for engaging customers visiting the conference. 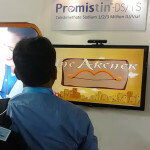 The MotionMagix™ wall enabled guests to involve themselves in an interactive game based on archery and mazes, wherein a 55” monitor presented an archer game for visitors to engage with. The archery game had balloons named after various bacteria, upon being burst, related medicine’s names were displayed. 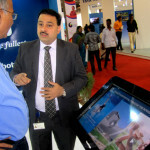 Impact: The interactive capabilities of the MotionMagix™ Interactive Wall / MagixKiosk™ were used to engage a larger number of people from the audience along with augmenting the branding of medicines. This entry was posted in Consumer and Retail, Event and Media, Healthcare, MagixTouch on March 31, 2015 by Touchmagix. 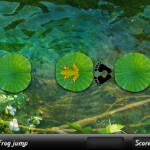 Create engagement and interaction using augmented reality. A fast growing pharmaceutical company showcases key benefits and advantages using augmented reality. 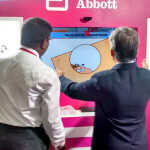 Brief: Abbott,one of the fastest growing pharmaceutical companies recently held an event in Chennai. 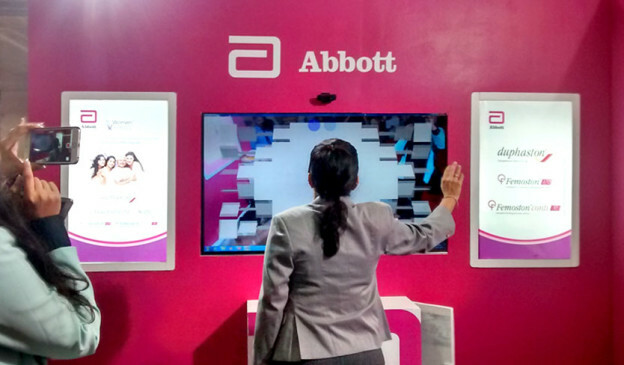 The event comprising of doctors, Abbott wanted to have an interactive and engaging way for the doctors and other guests to inform them about the products the company offers. 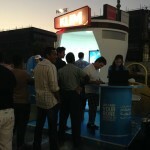 They wanted to showcase key benefits and advantages of their drug in comparison to others along with the brand message. 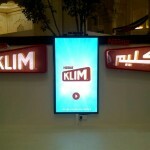 To assist this, we offered them our gesture based 55”LED screen with augmented reality. With state of the art sensor and built-in computer loaded with advanced gesture tracking software, it was compact as well as powerful. 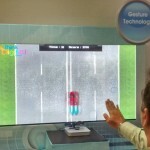 The user could see an image floating in front of him with a live camera feed and interact with the display with hand gesture just like the way it happens in movies! Impact: Interactivity that lead to absorbed knowledge amongst the visitors and doctors about the company’s products leaving a long lasting wow experience! 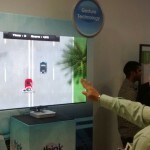 This entry was posted in Consumer and Retail, Event, Healthcare, MagixTouch on March 10, 2015 by Touchmagix. The Technology Face of Vibrant Gujarat. 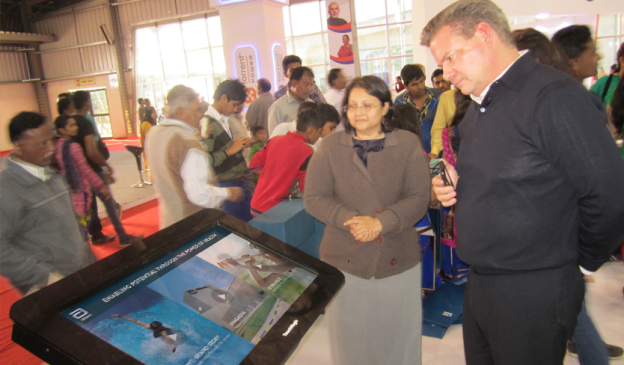 Abbott India showcased their products, events, upcoming plants on multi touch kiosk at Vibrant Gujarat. Brief: Vibrant Gujarat is an annual event organized to promote industries from all over the world in the state of Gujarat. The event provides a platform for investors and industries to interact with renowned business leaders from across multinational companies. More than 3000 companies participated in the Vibrant Gujarat in its 2015 installment. Companies vie to stand out and differentiate amongst themselves, in an event which sees everyone putting their best foot forward. Therefore it becomes an exercise in innovation and creativity, with everyone trying to bring on board the best solution possible. 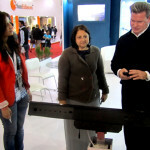 Abbott India approached TouchMagix for their stall in Vibrant Gujarat. Abbott is one of the biggest names in pharmaceutical industry and known as a highly innovative company. They wanted to use the latest in interactivity to display company information and we suggested a combination of multi-touch hardware and software to make their experience come alive. A customized content experience was designed to showcase the very latest from Abbott in the form of a video interface. People could click on any part of the screen for a different video to launch. Once could just tap on the screen to start or stop videos or to launch one which they wanted to see from among the rest. Using the kiosk for knowledge sharing, Abbott could not only engage people to their content but also make sure an experience far superior than any other alternative could be delivered. Abbott India installed three MagixKiosk at three separate locations in Vibrant Gujarat to showcase their products, events, upcoming plants. They announced the inauguration of some of their major investments in Gujarat. Impact: A superior interactive experience could be delivered with both style and manner fitting one of Gujarat’s most prominent events. 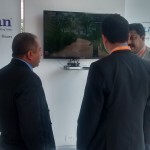 This entry was posted in Event and Media, Exhibition, Government, Healthcare, MagixTouch and tagged abbott india, corporate event, Event, Exhibition, MagixKiosk, Multitouch, Multitouch MagixKiosk, Pharma, vibrant gujarat on January 22, 2015 by Touchmagix. Objective: Employee engagement at a corporate event for leading Pharma Company. Brief: Employee engagement is a big priority for any major corporation and it has been ours too over the years. Major businesses like Sanofi in this case look to TouchMagix to create meaningful, memorable and sheer fun filled experiences. 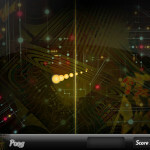 TouchMagix enables corporates to choose from a set of more than 100 games, some more popular than others for purposes of employee engagement. 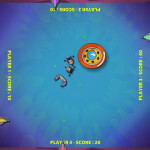 The games are played through bodily gestures and are extremely addictive and challenging. 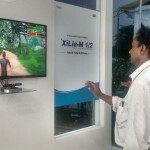 For Sanofi, we installed a MotionMagixTM front sensing Interactive wall with a set of 10 games customized to reflect their corporate identity. 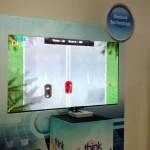 We used a 60” LCD TV as the display. 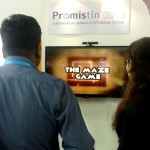 As people discovered the installment and games, the desire to personally experience the game play caused a huge rush at the venue. And before the event was even over people started pouring in with request for more such events. If you count success of an event by sheer joy on people’s faces, this was certainly a successful one. We thank our partners and the clients for the overall success of the event. 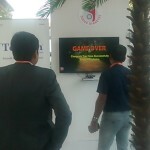 Impact: The event became successful and served purpose of employee engagement with interactive games on LCD screen. 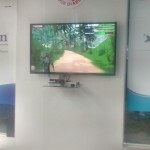 This entry was posted in Corporate, Corporate and Industrial, Healthcare, Pharma and Healthcare and tagged corporate event, Employee Engagement, Event, Interactive Corporate Games, motionmagix, MotionMagix Interactive Wall, Pharma, Pharmaceuticals on October 27, 2014 by Touchmagix. Waiting in the hospital is no longer boring! A trip to the hospital is no fun, more so if you happen to be a kid. Normally seen as bleak, sterile spaces, hospitals are the last place where you would find kids enjoying themselves to the fullest instead of crying, panicking or sticking to parents like glue. 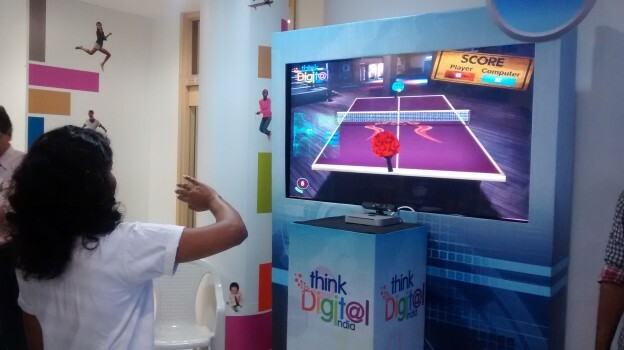 A great example of how technology can be put to great use to distract children is at the Harkishandas Hospital in Mumbai. 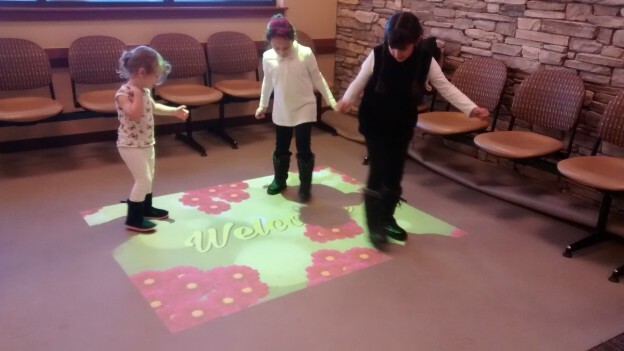 In order to keep the children in the pediatric ward busy and to keep their mind off ailments, the hospital management decided to employ a large MotionMagix™ Interactive Floor loaded with a number of interactive games in the waiting area. 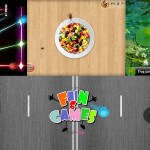 These games were highly engaging by nature and effectively helped distract the kids from their hospital related fears. 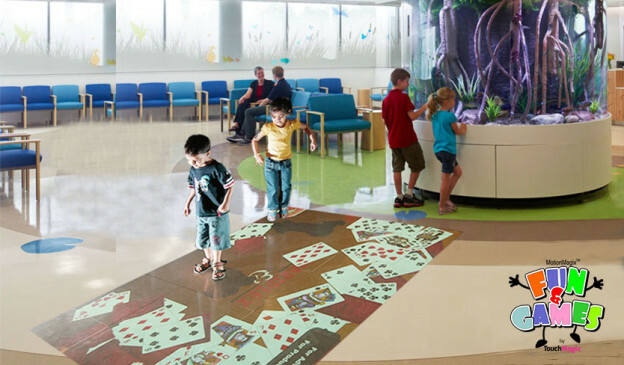 With single and multi-player options, this floor allowed to keep a number of kids busy, happy and laughing at the same time and helped reduce anxiety. This creative initiative by the hospital is indeed a reminder that sometimes laughter is the best medicine! 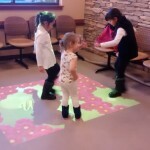 Impact: : The use of Interactive Technology not only enabled the hospital and parents to keep kids engaged without additional effort but also made the environment stress free for kids. 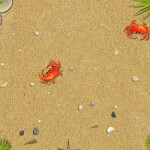 This entry was posted in Education and Kids, Healthcare and tagged hospital, hospital events, interactive floor, Kids, kids engagement, Kids Entertainment, Kids Games, kids hospital, motionmagix, MotionMagix Floor, MotionMagix Interactive Floor on June 25, 2014 by Touchmagix. In IPSCON 2013 the interactive floors across the event venue served as extensions of the exhibit. 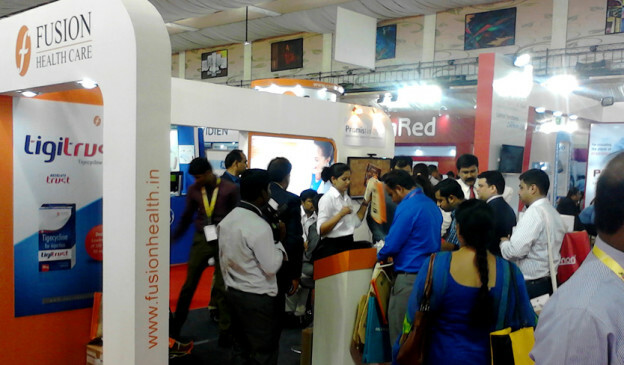 Brief: IPSCON 2013 is among the largest pharmaceutical events in India. While this presents a huge potential audience to reach out to the challenge for pharmaceutical companies exhibiting is how to drive foot traffic to your specific stall in the face of extreme competition from the leading pharma brands present there? Dr. Reddy’s Labs went to where the people were – all across the event floor. They deployed 8 MotionMagix™ Interactive Floors at strategic locations around the event venue each dedicated to a different brand. The content itself was not necessarily brand-specific – the intent was to engage the visitors in interactions designed to deliver a higher level messaging about how the right pharmaceutical products had the power to make life easier – a road to an un-complicated life as it were. The intent was to motivate event visitors to seek out more details about these products and take that uncomplicated road as it passed through the Dr. Reddy’s Lab exhibit. An innovative way to connect with people even before they made the trip over their exhibit if there ever was one! 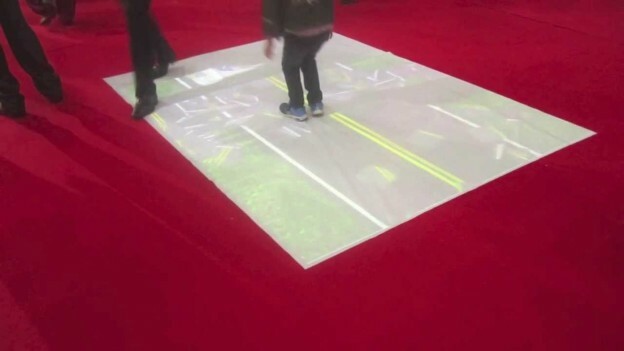 Impact: The interactive floors across the event venue served as extensions of the exhibit and were an effective way to interest visitors in the exhibit itself. 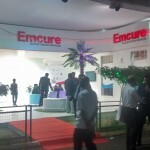 This entry was posted in Event, Event and Media, Healthcare, Pharma and Healthcare and tagged Dr. Reddy’s Labs, interactive floor, MotionMagix Interactive Floor on February 20, 2014 by Touchmagix. 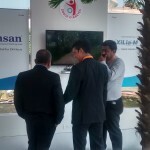 MotionMagix™ Interactive Wall helped Nestle Klim connect with the people both live and online about the importance of bone health. Objective: To connect with the audience both live and virally online about the importance of bone health and the benefits of KLIM milk using a unique interactive interface. Did you know that women need to take special care of their bone health? Two glasses of calcium rich milk daily are a must to look after bone health and to promote strength and well being, especially for a woman on the go. 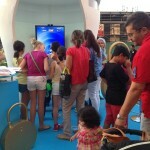 Nestlé KLIM Milk organized its latest event to create this awareness. This event was called the ‘KLIM Women of Strength Challenge’ and was held at different outdoor locations in Dubai. KLIM booths, appropriately cup shaped, were set up at these locations and making this event interactive and engaging was the MotionMagix™ Interactive Wall. 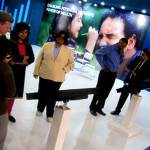 A 65 inch interactive screen with full body skeleton tracking technology developed by TouchMagix™ was deployed. An on-screen skeleton mimicked the actions of the participants in the booth. This skeletal partner of the participants had to catch the items being randomly dropped on the screen and collect points to win the challenge. They jumped and dived to catch the locks and KLIM packs that were being dropped and had a fantastic time while doing so. 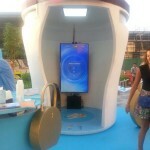 There were two cameras which were installed in the booths taking pictures and videos of the participants. 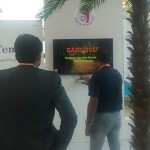 On completing the challenge, the participants could mail these videos and pictures to their personal email accounts or post and share them on Facebook or You Tube from the booth itself thus establishing a great offline-online connect. From the reaction of the audience it seemed that the MotionMagix skeleton challenge gave enough reason to bond with your milk! Impact: Aligned to the intent of capturing a wider audience and viewership, the event was a huge success because of its engaging and interactive format and online- offline connect. This entry was posted in Advertising, Consumer and Retail, Consumer Brands, Event and Media, Food and Beverage, Healthcare, Hospitality and tagged interactive wall, MotionMagix Interactive Wall, Nestle, Nestle Klim on November 17, 2013 by Touchmagix.